If you’re one of the people missing out on the premier fighting experience on the Nintendo Switch, there’s a hot deal going on that you can take advantage of. Across various retailers, Super Smash Bros. Ultimate is available at the discounted price of $50. There are expected improvements that come with being the fifth entry in a series of games, but Super Smash Bros. Ultimate is a bit more than the next title in a long-running franchise. Ultimate is a love letter to previous Smash Bros. games and a celebration of the many Nintendo and non-Nintendo franchises represented within it. As stated in our Super Smash Bros. Ultimate review, where it earned four and a half stars out of five, it’s an ode to gaming that lives up to its name. If you’re itching to grab yourself a copy of Super Smash Bros. Ultimate at this discounted price, you can get the game at Target, Amazon, Walmart, and Best Buy for $50. There are many reasons why Super Smash Bros. Ultimate has claimed the crown as the fastest-selling Nintendo game ever. The fighter includes 74 playable fighters with DLC still on the way, more than 100 stages with various modifications, and more than 800 tracks from all of the franchises that each character represents. You can finally settle the grudge match between Mario and Sonic with Shadow Moses Island from Metal Gear Solid as a neutral territory with the battle music from Final Fantasy VII setting the tone. 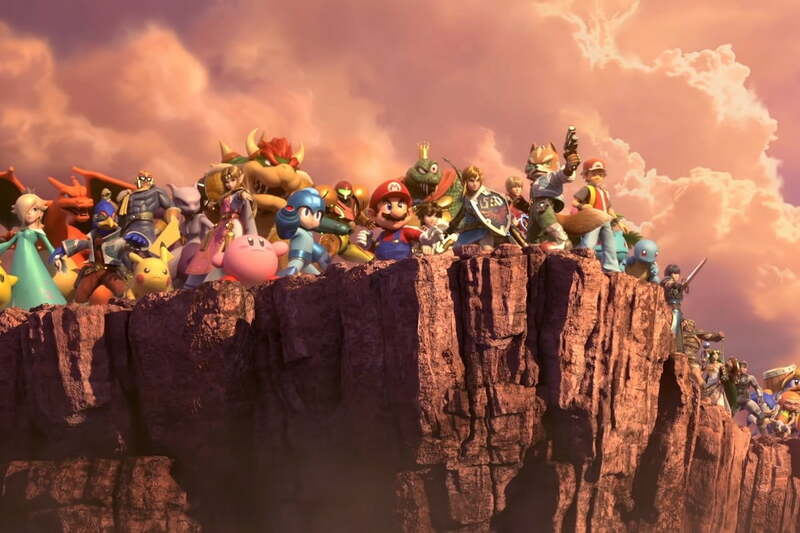 In addition to a collection of different competitive Smash modes like Squad Smash, Special Smash, and Tourney, players can dive into the single-player adventure mode in Super Smash Bros. Ultimate called World of Light. Starting out as Kirby, the only survivor of an attack that results in spirits taking over all of the other characters, players explore a large map, take on tough opponents, and collect primary and support spirits. The many spirits that can be collected extend the celebration of gaming outside of the playable fighters by including a plethora of characters like the Lon’qu from Fire Emblem, Fiora from Xenoblade Chronicles, or even Samus’ gunship from Metroid. If you’re ready to get started, we’ve got a robust guide on everything you need to know about Super Smash Bros. Ultimate along with a beginner’s guide so you can jump into the battle with confidence.